Born and raised in Monroe, Dr. Tom was the second youngest of ten children. 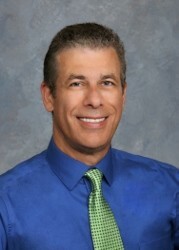 He graduated from Monroe High School in 1982, then moved to Milwaukee to attend Marquette University. After seven years in Milwaukee, Dr. Tom returned to Green County with a Doctorate of Dental Surgery from the Marquette University School of Dentistry; a wife, Jodi and a newborn son, Cory. He joined his father, Dr. Joseph Ganshert and Dr. Robert Brauchle in practice as the third generation of Ganshert dentists in Monroe. Dr. Tom and his wife, Jodi have three more children; Joseph, Eric, and Cammi. Along with his dedication to dentistry and family, Dr. Tom coached, officiated and promoted youth ice hockey in Monroe for twenty-six years. Having practiced dentistry for twenty-seven years, Dr. Tom has devoted his professional career to helping patients improve their oral health. Through continued education and new technologies, Dr. Tom looks forward to providing even better services for a wider array of patients. Dr. Mosher received her Bachelors of Science degree from the University of Minnesota - Twin Cities. She later graduated from Marquette University School of Dentistry with a Doctorate of Dental Surgery in 2008. 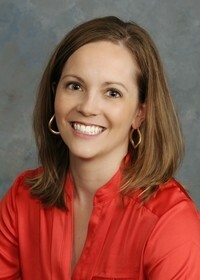 She is a member of the American Dental Association, Wisconsin Dental Association, and the Greater Dane Dental Society. She grew up on a family dairy farm near Belleville. Dr. Katie and her family returned home to southern Wisconsin in 2012. She is married to Scott and they have three children. In her free time, she enjoys being active outdoors, reading, gardening, and cheering on the Brewers and Badgers. Dr. Katie enjoys being a part of the greater Monroe community. She treats people with compassion and respect and looks forward to building life long relationships with her patients.